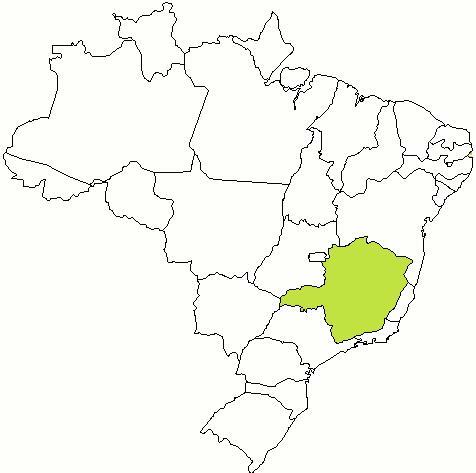 Minas is not the first Brazilian state to adopt a comprehensive state solid waste policy law — it joins the ranks of Ceará, Goiás, Mato Grosso, Paraná, Pernambuco, Rio de Janeiro, Rio Grande do Sul, Rondônia, Roraima, Santa Catarina, São Paulo and Sergipe. MG’s law shares many of the same principles and elements of the state laws that precede it, but breaks new ground on at least one key point: it explicitly enshrines the principle of “reverse logistics” — the term Brazilians use to refer to take-back. This is important not only in the example it sets for other states still working on their own waste policy laws, but also for the national waste policy bill under debate in the federal Chamber of Deputies. The national bill also includes a similar section on reverse logistics that some in industry are fighting hard to get removed. But now that Brazil’s second most populous state, representing around 10% of Brazil’s GDP, has made it a central part of its waste law, that may be hard to do. disseminate information about their collection points and conduct educational campaigns against improper disposal of their products. The Section also calls on product resellers, merchants and distributors to receive, handle and temporarily store returned EOL products, maintain the collection points and inform the consumer about their role in the take-back system. collect special solid wastes, in articulation with its sales network and with the municipal public power, with the implementation of the necessary structure to guarantee the return flow of these wastes and to give them an environmentally adequate final destination, under the penalty of civil and criminal response, under the terms of environmental legislation. The Law does not specify which waste streams qualify as “special.” Presumably this will be fleshed out in the implementing regulation. If Minas follows the practice in most states, it will include nonreturnable packaging, scrap tires, lamps, batteries, pesticide packaging, used lubricants and expired medicines. A few states have also added to that list electrical and electronic equipment (EEE), construction and demolition (C&D) wastes, end-of-life vehicles (ELVs) and water treatment sludge. Recycling: The Law calls on the State and municipalities to adopt measures to (1) regulate the recycling market; (2) create new markets for recycled and recyclable products; (3) provide a major role for waste picker (catador) cooperatives. Selective Collection: The Law clearly states that for urban solid wastes preference must be given to selective collection. Municipal Waste Management Plans. MG municipalities must prepare and implement a Plan for Integrated Management of Urban Solid Waste. The deadlines for finalizing a municipal plan will be set by the State Environmental Policy Council (COPAM), but in any case must be done within five years. The plan must cover generation, segregation, collection, handling, packaging, transport, storage, treatment and final destination of solid wastes. Labeling: The Law obliges manufacturers and importers to include on their products’ packaging information, in a visible and prominent spot, on the possibility of reuse and treatment of the waste the product becomes. Bad Behavior has blocked 1144 access attempts in the last 7 days.